Today many high-end designers have full workstations underneath their desks, dedicated to their use. This is clearly inefficient, as for half the day (at least) that workstation is unlikely to be in use. Hosting these machines in a central location like IT or communications cabinet not only increases efficiency, but also centralizes data for security and ease of cross-geographical working. It also means that many other devices can be used to access the data, e.g. viewing a 3-D model of a construction site on an iPad. 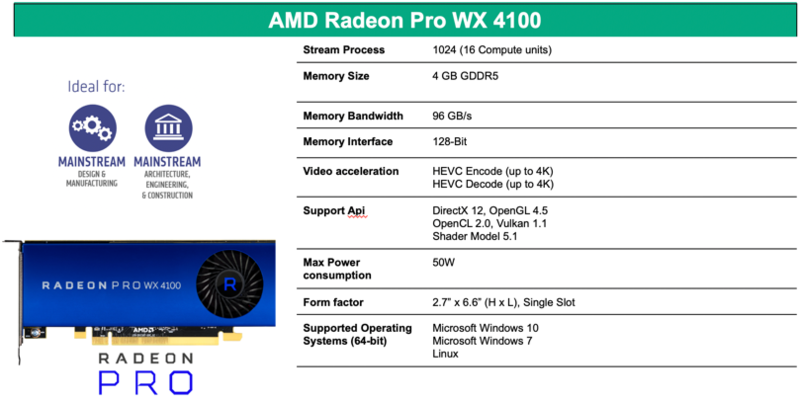 AMD Radeon Pro WX4100 is a single slot GPU from AMD, its using the latest architecture from AMD and is part of the Radeon Pro series. 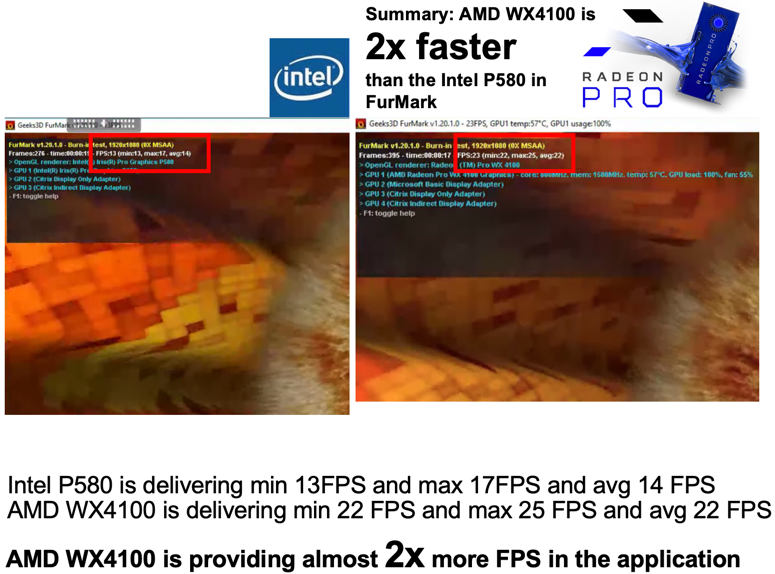 This GPU have 4 GB dedicated frame buffer which application demanding vendors are requiring when working in CAD/CAM/CAE. 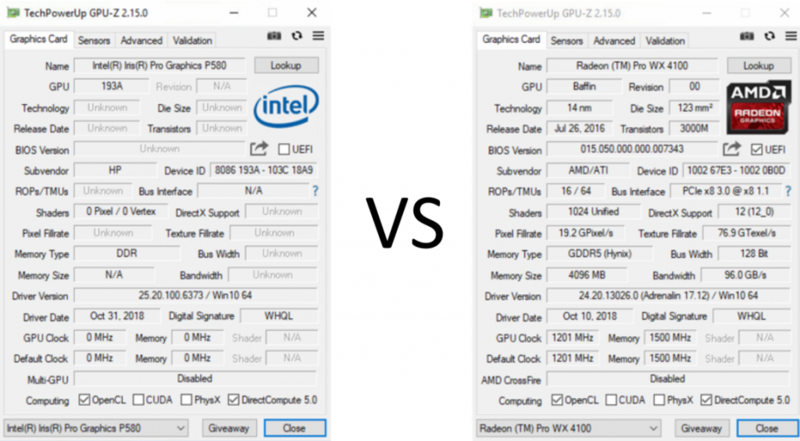 The AMD drivers are the same used for either physically Radeon Pro GPU or virtualizing the GPU or using example MxGPU. 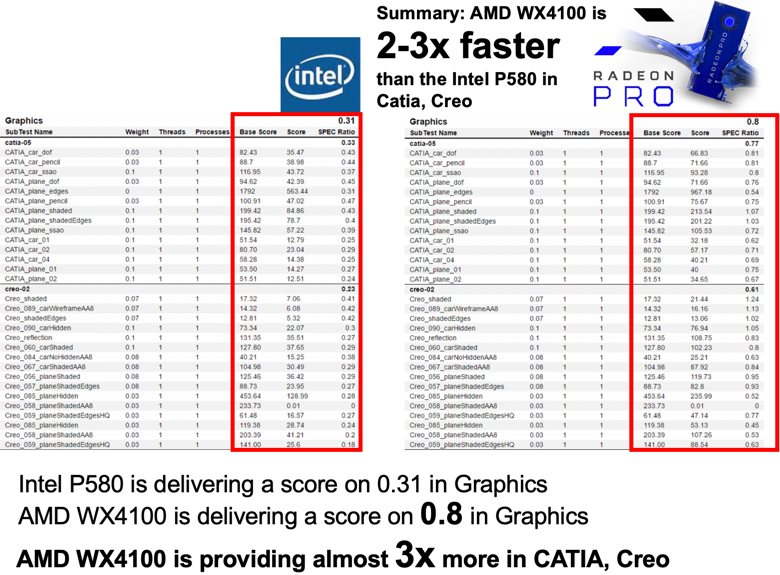 This helps simplify the driver validation process and ease of use and switching between AMD Radeon Pro GPU models. 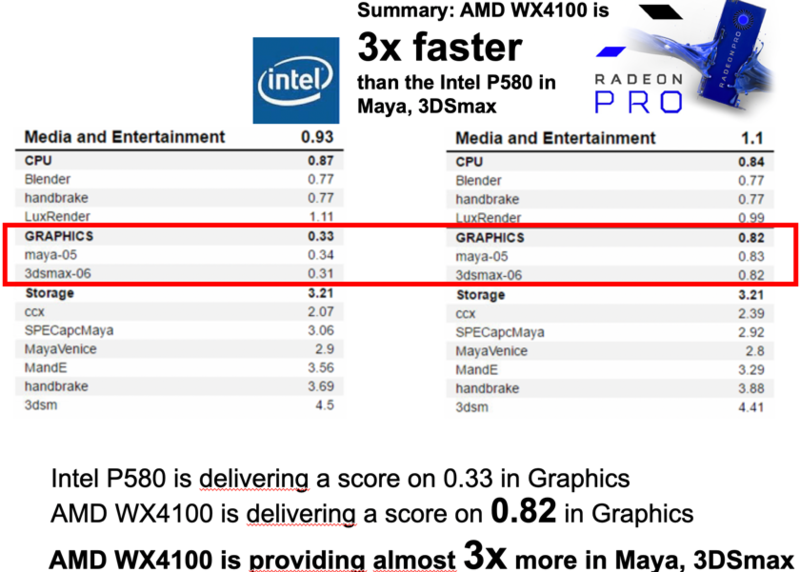 AMD is releasing drivers Quarterly and some times even monthly, the great thing about this GPU is that this is the GPU that is being used in physically workstations for Engineers and Designers. The idea of below concept is to give the user the dedicated power of the m710x (CPU, NVME, fast memory) and then dedicated AMD GPU power to the user so the user replaces their existing physically workstation and the desk and put it in the datacenter. 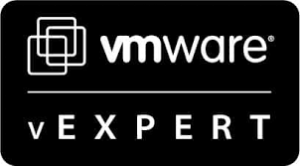 Now HPE has a new server appliance available and a new solution that targets a new business opportunity for SMB/medium customers. Previously you needed to buy a Moonshot 1500 solution that was a 4.3 U chassis, where you could add up to 45 server blades. 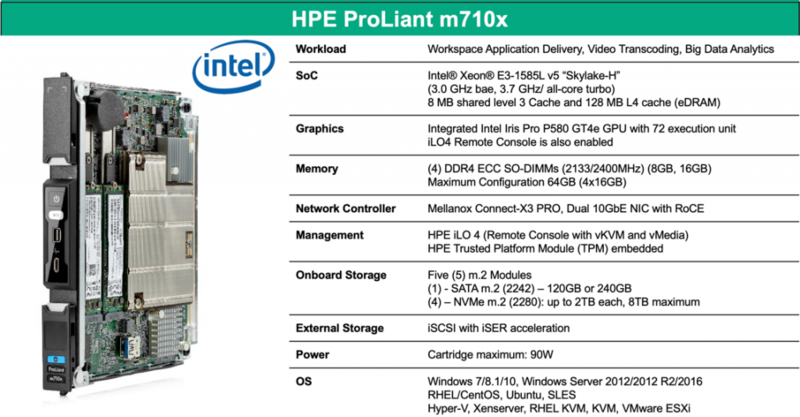 This have changed and new offerings are now available from HPE. These include Edgeline. 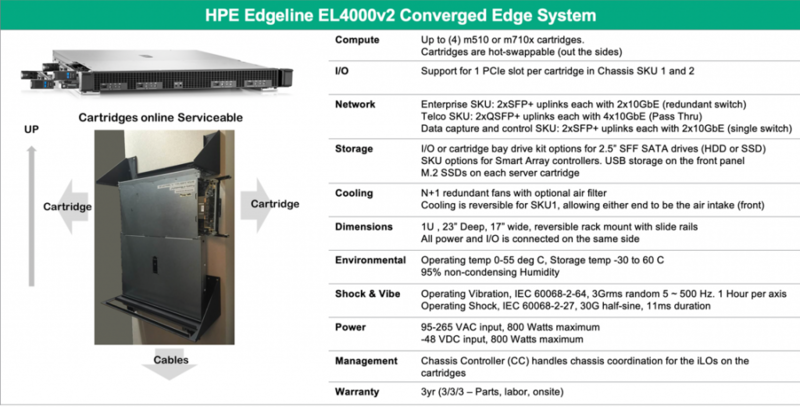 HPE Edgeline EL1000 which support up to 1 HPE Proliant server blade and HPE Edgeline EL4000, which support up to 4 HPE Proliant server blades. 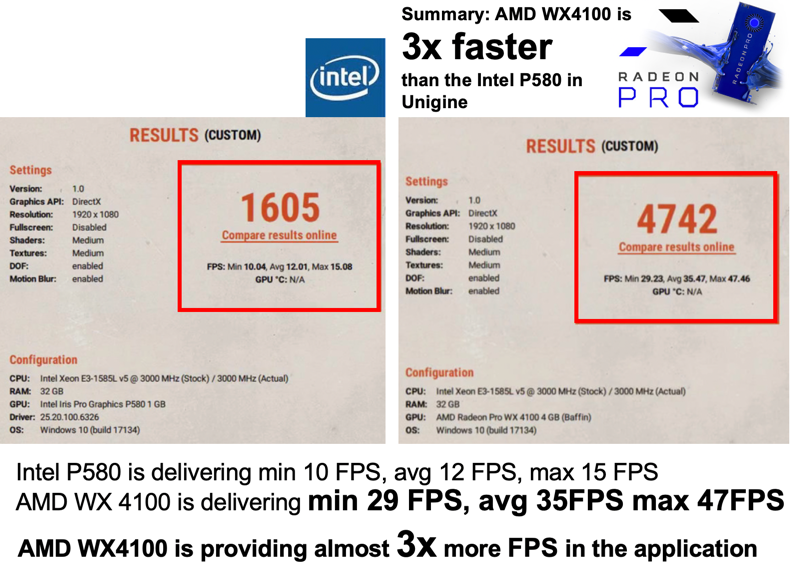 This is great for business that would like CPU/GPU/Fast storage and IO in small capacity but require fast performance. These appliances are also built for IoT systems. This means that HPE Edgeline is a more accessible solution for companies no matter their size or demand. 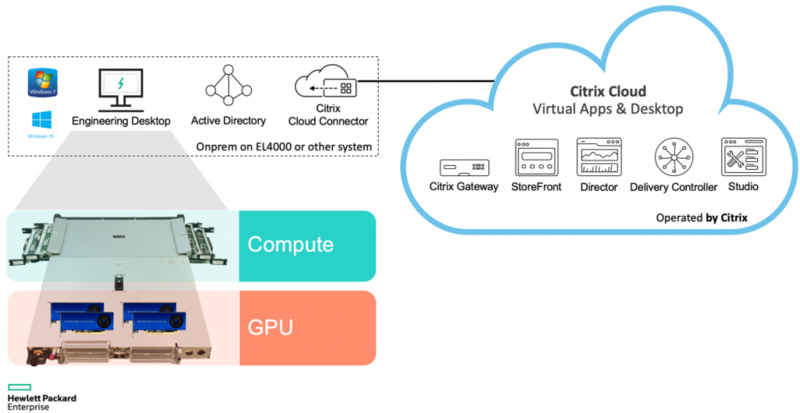 HPE Engineering Workstation with AMD is validated with Citrix Cloud, organizations can be up and running with Citrix cloud-hosted desktops and apps in a matter of hours instead of weeks. 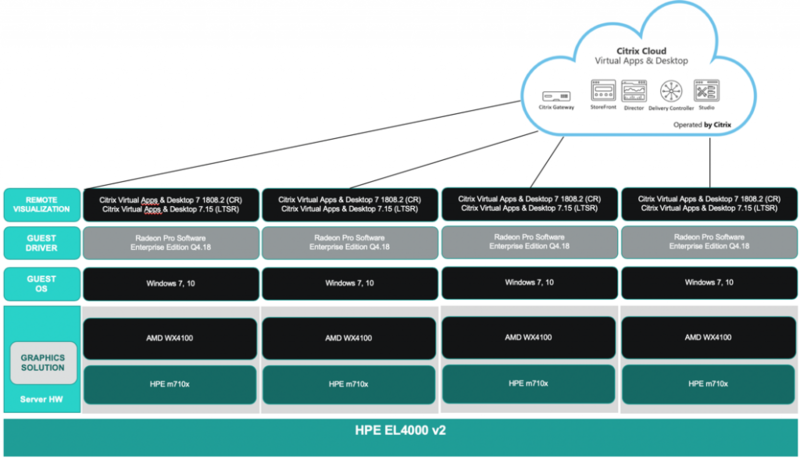 Customers can now benefit of having the Citrix infrastructure managed in the cloud in a simplified view and easy access HPE Engineering Workstation with AMD on any device, secure at the Edge. 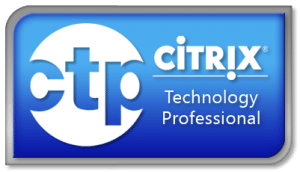 Citrix enables engineers to work on any device with their Citrix Workspace App and accessing the HPE Engineering Workstation with AMD anywhere remotely. 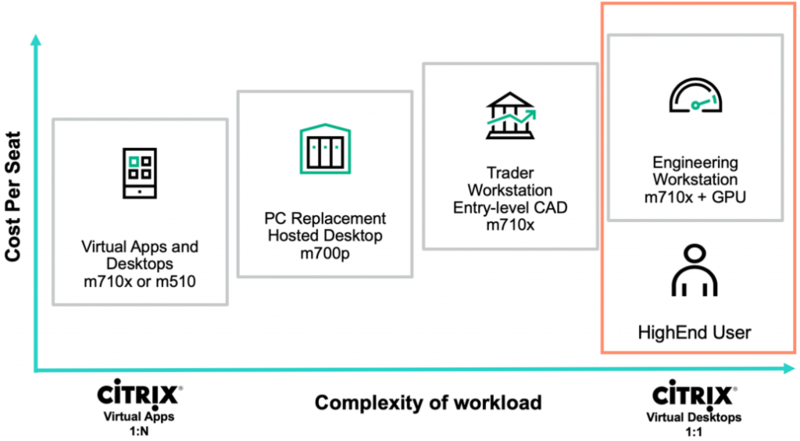 The goal was to show the user experience how it is compared to the 1 generation Engineering Workstation offerings from HPE more precised the m710x with the 2 generation Engineering Workstation offerings from HPE which is the m710x + AMD WX4100. 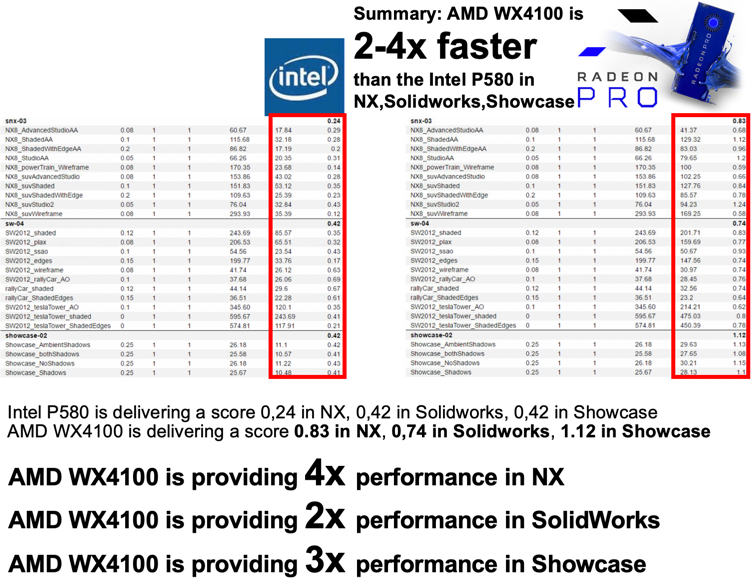 HPE Proliant m710x Intel P580 GPU (shared system memory) vs HPE Proliant makes m710x and AMD WX4100 GPU (4GB dedicated video memory). Unity game engine is one of the most famous engines used around the world for when customers are designing an application that works across any platform/device, its also popular for game companies and entertainment business such as the hollywood industry, they are using Unity when they are capturing a scene including very famous blockbusters such as Bladerunner 2049 or Ready Player One, yes these movies have been captured with Unity and its also very popular with content creators creating the next app in Augmented Reality or Virtual Reality. 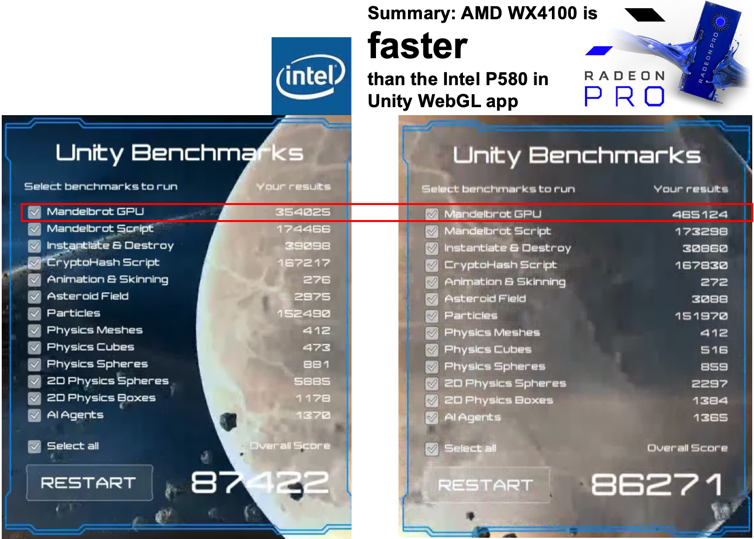 I have in this test used an Unity WebGL application to benchmark the GPUs which is running inside Chrome, and its correct that results will vary depending on which browser and which version this is because Google, Firefox, Microsoft is optimizing GPU engines all the time improving the user experience. 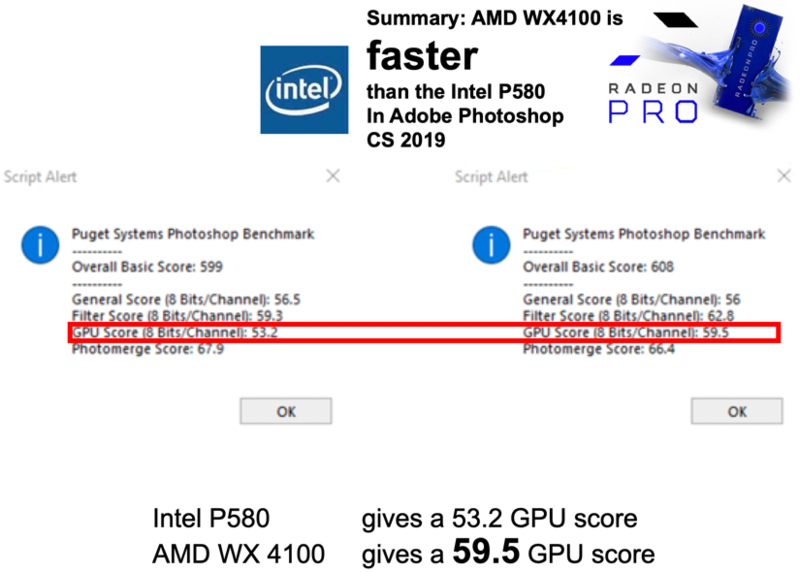 Adobe Photoshop CC 2019 is very popular for creators, engineers and designers and Adobe keep improving the user experience adding more GPU capabilities into the product, this is why I have run test with latest version and to automate a benchmark simulation I ran the Puget System benchmark that is made for Adobe Photoshop CC 2019. FurMark is a very intensive OpenGL benchmark that uses fur rendering algorithms to measure the performance of the graphics card. Fur rendering is especially adapted to overheat the GPU and that’s why FurMark is also a good stability and stress test tool (also called GPU burner) for the graphics card. The SPECworkstation 3 benchmark measures all key aspects of workstation performance based on diverse professional applications. SPECworkstation 3 was introduced with initial benchmarking results on October 31, 2018. 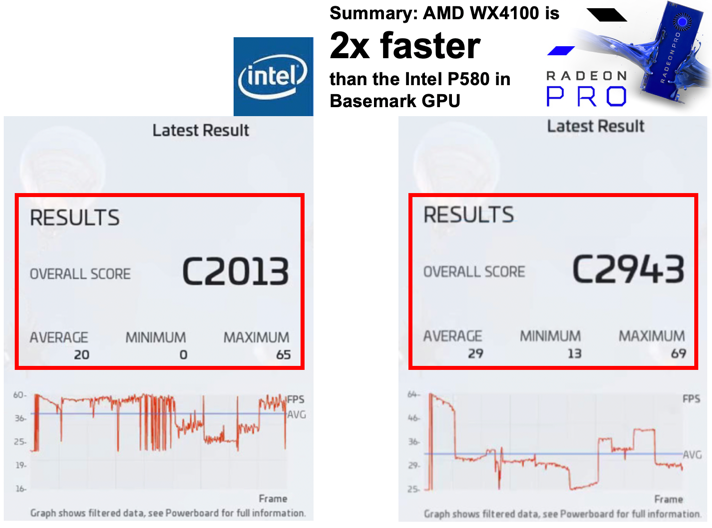 Basemark GPU is a new vendor in the benchmarking world, the company is from Finland. 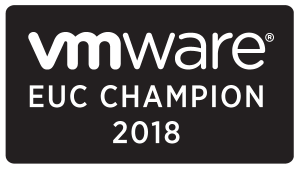 Unigine have very popular benchmark tools that the EUC community, partners, customers uses this is why I have included this great tool. 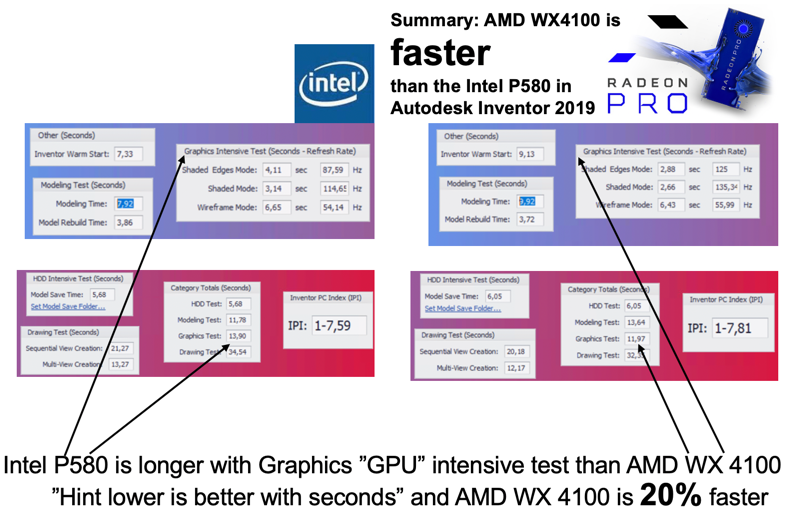 HPE Edgeline EL4000 and M710x with AMD Radeon Pro WX4100 takes the Engineer workstation to the next level and adding more horsepower than the traditional HPE M710x offering with integrated Intel P580 GPU.